A psychological study found that children in martial arts have an increased sense of responsibility, a decrease in the willingness to take foolish risks, and a higher sense of self-esteem. This is why millions of parents are using martial arts to supplement their children's education. 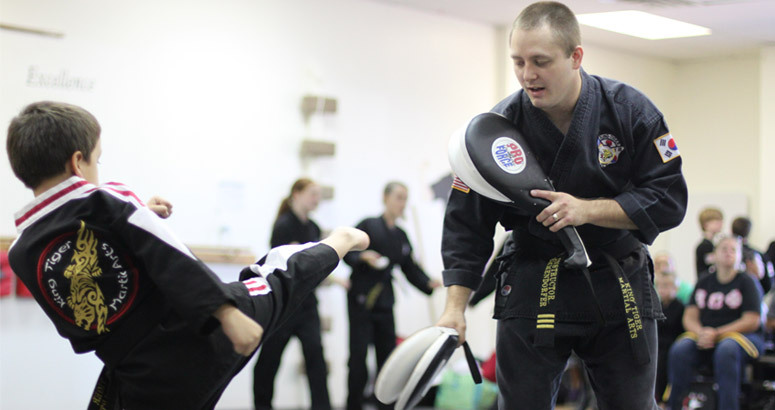 Our program teaches children discipline and essential self-defense skills. Our reward system improves children's self-esteem and our activities channel children's aggression. –Mr. and Mrs. McGinnis, Construction Design, Jessica (6), Red Belt.